Construction workers, mechanics, and utility tradespeople face some harsh work conditions. There are a lot of hazards with these jobs. You’re probably already familiar with most of them. Did you know that there are tools and materials on your job site that are silently killing your employees? Sometimes the things that are supposed to keep them safe end up hurting them more. Are you interested in learning how to better protect your workers? Check out the 5 common tools that are silently killing your workers. Respirators protect employees from all kinds of health hazards. They can be used to filter out airborne particulates, gases, and vapors. They offer comfort and protection from nuisance levels of dust. And, they offer life-saving protection from deadly gases and vapors. Don’t underestimate the power of a functional respirator. But that’s just it. It has to be functional. Respirators need to be properly stored and maintained. Worn out respirators can leak. Which means they aren’t fully protecting your workers. Train your workers to inspect their respirators before each use. 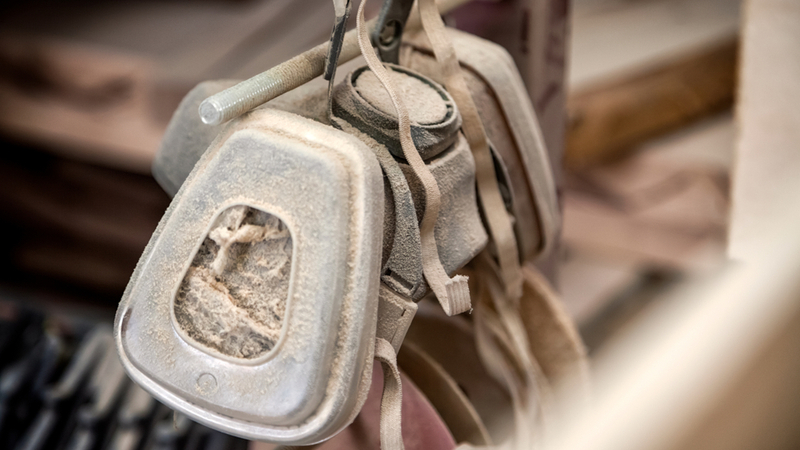 You don’t want your workers to be wearing an old, worn out respirator like this one. Respirators need to form a tight seal around the employee’s face. Be sure to conduct annual fit testing for all employees. The fit test confirms the fit and functionality of the respirator. This looks much better, doesn’t it? Workers in the construction, maintenance, and utility industries often need to wear specialized protective clothing. Flame resistant (FR) clothing is a common form of PPE for these employees. FR clothing protects them from fire-related hazards. The clothing is supposed to self-extinguish once ignited. That way, it prevents the fire from spreading across the body. FR clothing minimizes the extent and severity of burns. But, sometimes FR clothing isn’t enough. Utility workers and electricians sometimes need to wear clothing that offers even more protection. This clothing is called arc-resistant clothing, or AR clothing. It’s specially designed to protect workers from arc flash hazards, caused by an electrical fault. Does this man look like he’s wearing the right protective clothing for the job? Workers don’t always understand the difference between FR and AR clothing. If your employees are in a situation that requires AR clothing, make sure they have it. Make sure they know how to identify these hazards and when they need to wear their protective clothing. Why? Because wearing the wrong clothing type can be fatal. Falls from height are one of the top killers in the construction industry. That’s why it’s so important for those who work at heights to wear fall protection. The surprising truth is that many of these fatalities involved workers who were wearing fall protection. What? How can that be? In many cases, these workers were not wearing it properly. These days, there are tons of different styles and options for fall protection equipment. But you can’t just pick and choose random gear. A personal fall arrest system (PFAS) needs to be carefully coordinated. Not just thrown together as an afterthought. Make sure you have anchors, body harnesses, and connectors that are all compatible with one another. And make sure your workers understand how to use them. That requires regular training and retraining every time their PFAS system changes. 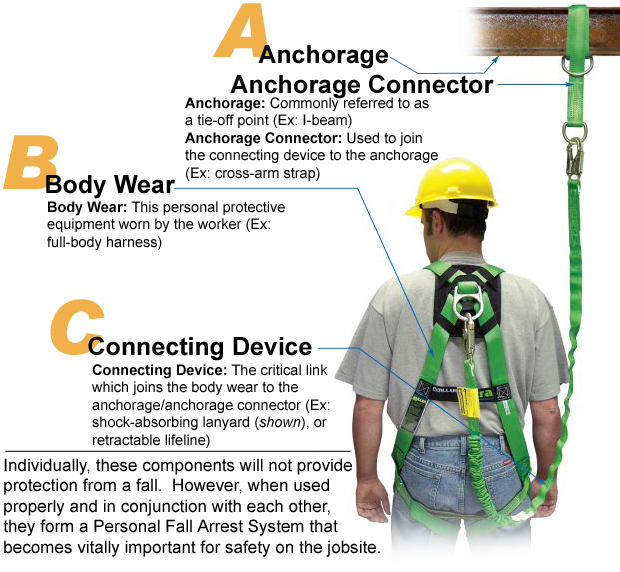 Fall protection equipment needs to be worn properly. Otherwise, workers risk serious injury or death in the event of a fall. Construction workers, mechanics, and utility tradespeople are often covered in dirt, grease, and grime. That’s no big secret. But some of the products these workers use to “clean up” are silent killers. This would be ideal, wouldn’t it? Often times, soap and water aren’t strong enough to get the nasty, grimy mess off of these workers. Don’t forget that in remote locations, running water isn’t even an option. So, they come up with alternative solutions. A common trick for mechanics, utility workers, and construction workers? Using solvents, in their pure form (undiluted), to clean their hands. Solvents do an excellent job of dissolving grease, oil, and paint. But they cause major health issues when absorbed through the skin. 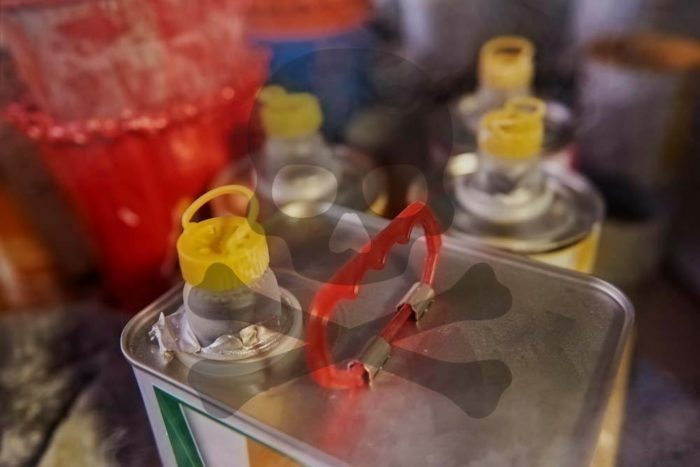 Pure solvents are often found in cleaning fluids, epoxy resins, paint thinners, and primers. When the solvents appear in full or high concentration they pose high health risks. The solvents would need to be heavily diluted with water and natural-based for them to pose no health risks, as is done in high quality cleaning wipes and sprays. Because of their ability to cut through the dirty, nasty grime, workers often use solvents to clean their tools and their hands. Why are pure solvents so dangerous to use on your hands? Pure solvents are easily absorbed by the skin. They can cause dermatitis and other conditions where the solvent made contact with the skin. They are also known to cause other health issues throughout the body. Occupational Skin Diseases (OSD) are a common result of dermal exposure to solvents. 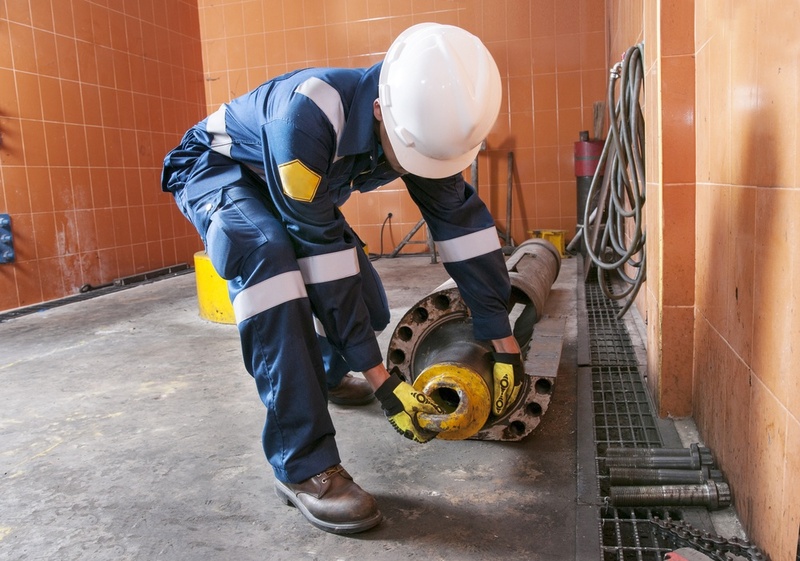 OSD’s are the second most common type of occupational diseases. The Center for Disease Control and Prevention (CDC) estimates that 13 million U.S. workers are at risk. When solvents and other toxic chemicals are absorbed through the skin, they can enter the bloodstream. This can create health issues further away from the exposure site. Systemic toxicity is a serious condition that can cause problems in areas of the nervous system, stomach, liver, and other organs. Even when employees choose to use cleaning solutions instead of solvents, they can be putting themselves at risk. Many cleaning solutions on the market today are filled with harsh chemicals that can do more harm than good. Abrasive cleaners, for example, should not be used to clean your hands. But many workers use them for that purpose. A tradesperson’s hands are his most valuable assets. Protect your employees by making sure they don’t use solvents and other abrasive cleaners on their skin and hands. Instead, use products that are more gentle on the skin. Phosphate-free, non-caustic cleaning wipes should be readily accessible. With the right cleaning products, you can reduce the chances of your workers come down with dry, cracked hands that cause them pain and interfere with their work. It can be pretty unnerving to think that your workers may be at risk, even with the best-laid plans. That’s why it’s important to always touch base with your crew. Talk to them about their challenges on the job. More times than not, they’ll be happy to tell you what works for them and what doesn’t. In the meantime, make sure that they have the equipment and supplies they need to stay safe and get the job done! If you’d like to learn more about how Big Wipes™ can help you make your workplace even safer, just give us a call or send us an email.